Don't get lost on your ride, run or hike! The dynamic.watch web site and dwMap watch app are the fastest and easiest way to create and download routes to your Garmin GPS watch, right from your phone or computer. Designed for cyclists, runners and hikers, just install the dwMap app on your watch, and use the dynamic.watch web site to create routes using our mobile-friendly route Planner (or import routes from popular sites like Strava, Ride with GPS and MapMyRun) and send them to the watch. 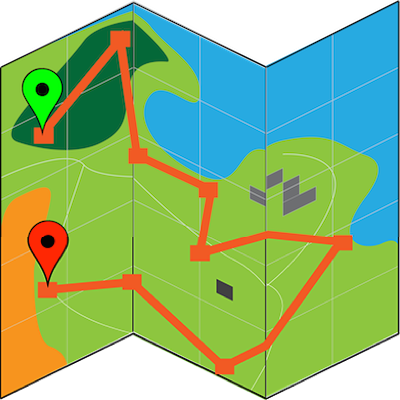 Use the bigger screen of your phone, tablet or computer to create and select a route, and your watch will automatically download it next time you start the app. Your watch only needs an internet connection (through your phone) if you want to download a new route. Otherwise it is self-contained and designed for use outside of cellular service. This website is fully mobile-enabled to use on your phone, and a laptop is not required (though of course the website works great there too). When you're ready for more, dynamicWatch Premium adds customizable watch data fields, watch route navigation prompts and off-course warnings, background maps (on many watches), route Archive and Collections, waypoints/geocaching, GPX exports and no advertising. The dwMap watch app will show you a simple map of your route and where you are on it, whether you're riding a century bike-ride, hiking in the remote mountains, or running the streets of a new city. 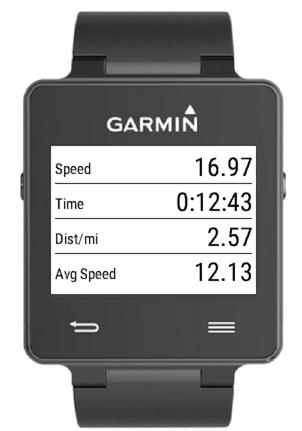 It also shows your speed, distance, heart rate and other stats from your watch, and uses the built in recorder function to record your activity and sync it with your Garmin Connect account. The dwMap app is downloaded to your watch from the Garmin Connect IQ App Store.